EconomistJobs will receive a notification when your draft job listing is uploaded. We will check everything looks great before making the ad live on the site. This normally happens within 4 hours. Once the ad is live we will notify you by email and attach an invoice for your records. A dedicated email which features just your job and your logo in the header image. A great way to reach both active and passive job seekers. 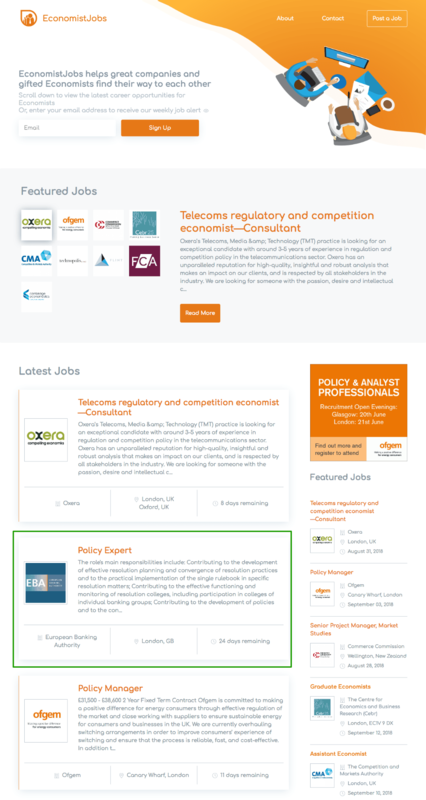 Appears on the homepage and alongside all job listings on the site. All work is carried out by us for your to check and approve before added to the site. Logo must be square - ideally 400x400 - skip this stage if you don't have your logo to hand. We can find your logo via Google images and will add your logo for you - and resize if necessary. 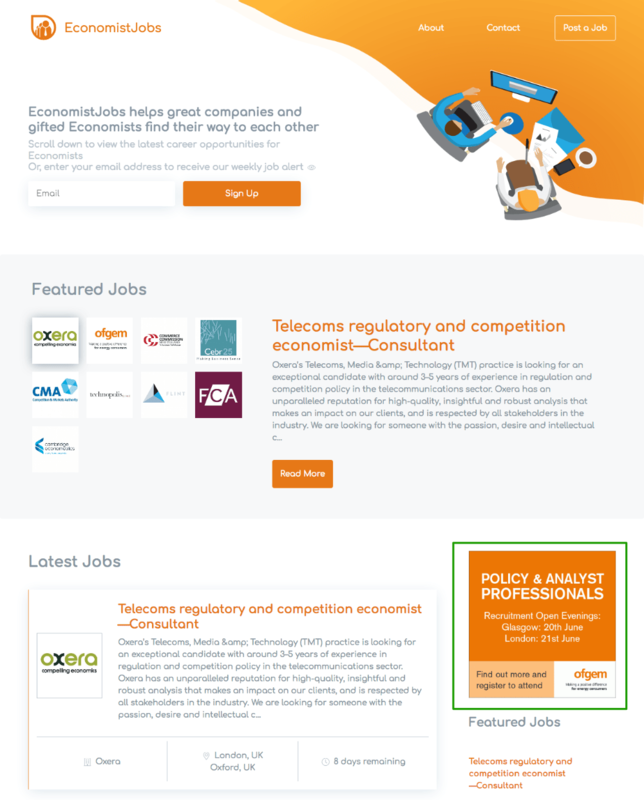 EconomistJobs is part of the SRS network of jobsites. SRS is a Limited company registered in the UK, as such we charge VAT on invoices to other UK businesses. If your organisation is a registered UK charity - or if your organisation is not based in the UK, please tick this box and VAT will not be added to your invoice. If you would prefer us to create your job listing, please contact us via the email button below including details on your role (Word format) and stating whether you wish to purchase a Standard or Featured listing - We will then post your advertisement and email you a link to where you can check and approve the ad. You can choose to pay by invoice or we can email you an online payment request. Payment is by card (online) or we can email you an invoice for payment within 30 days. Make your selection when you come to the payment page.